200 years ago this month a 21 year old surgical resident decided to give up his studies to become a doctor and to instead concentrate on the writing of poetry. An interesting decision. He had already rolled up a considerable education debt, and while it’s possible that poetry’s earnings potential might have been greater in 1816 than today, greater than zero is not a high bar. So how prudent was our young not-to-be surgeon? He had tried his hand at poetry and had published a couple of poems in magazines before his decision. Hmm. Not a great prospectus you might think. In a rough translation for our time, it’s as if the young student had ditched his studies and loan debt for a shot at touring as an indie-rocker, even though he’s only played in his dorm room and doesn’t have a band. We know how this turns out, more times than not: the young fool will be unable to sustain a long career in the arts—and yes, that was the case here. The young surgeon turned poet was to have a career of less than 5 years—but that was because of his early death at age 25. Yup, he dies two years too young to make the 27 club. Our surgeon turned poet was John Keats. Besides talent, and desire that was the equivalent of foolishness, Keats worked very hard reading poetry, thinking about it, and writing it in those less than five years, producing some of the best lyric poetry in English. In my own twenties, this encouraged and discouraged me. 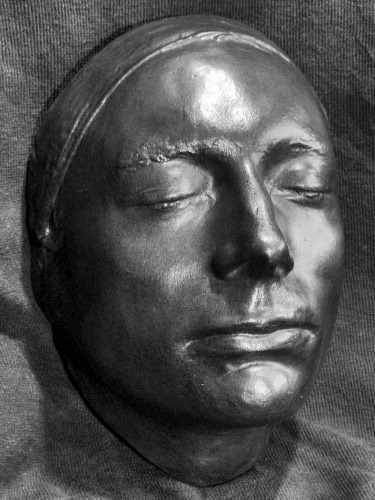 On one hand, it said I could write and read fearlessly as a young poet in the first half of my twenties; and on the other, as I measured what I had accomplished, I often admonished myself: John Keats died at 25. Almost exactly one year after he broke from medicine for poetry, John Keats wrote the words for this piece In the Drear-Nighted December. He wrote it after struggling for much of the year to write his first long piece, Endymion, a neo-classical epic in heroic couplets that he never thought he got right. What has Keats done here? First off, those words cannot be read and not sung. This kind of silent melody is not easy to do in English, yet here is the young Keats doing it brilliantly. His images? I’m deep in a minus 17 degree F. Minnesota afternoon as I write this this. His trees with their “sleety whistle,” those branches glued with ice, once flowing water frozen like mineral crystals—I know these things, but Keats has said them well to remind me that we both know. A good song for winter solstice, so to hear the LYL Band perform In the Drear-Nighted December, click the play button the player gadget that will appear below.